The BIGGEST and BADDEST event of the first half of 2014!!! 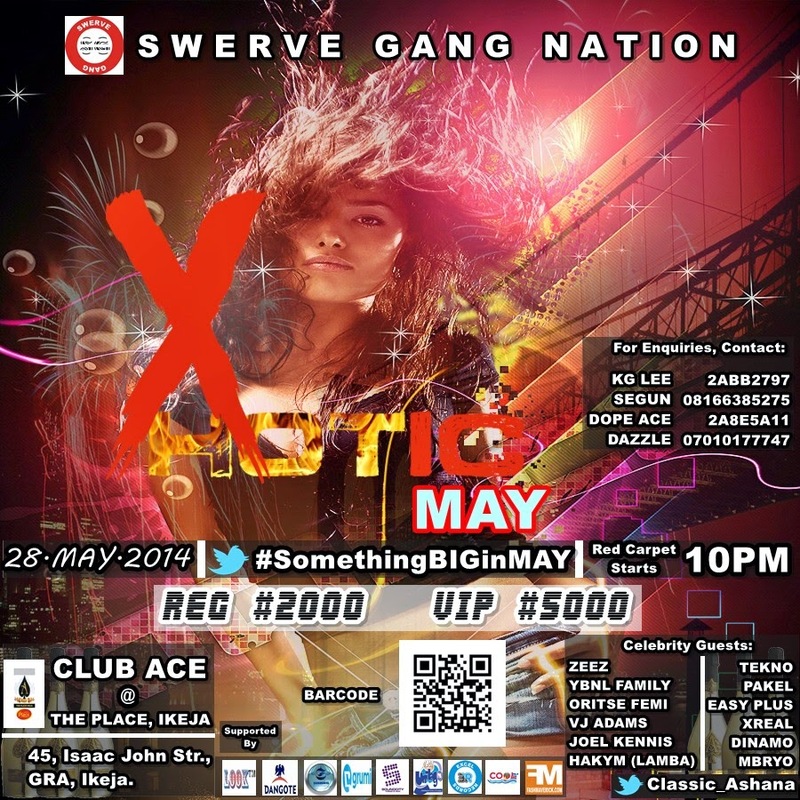 X-HOTIC MAY (The Total LAGOS Shutdown) !!! The X-HOTIC MAY event is targeted at bringing together a very high score of Nigerian youths together in a luxurious building (one of the best around town) to explore FUN at its very best. SGN is using this avenue to help relieve the stress from the hustle and bustle of Lagos (be it workers or students). And the date couldn't have been a better one, as the next day, May29 being a public holiday (Democracy Day), in which fun-lovers can rest after the X-HOTIC night of fun. Venue: CLUB ACE at THE PLACE IKEJA (45, Isaac John Street, GRA Ikeja).